This time around I was feeling a little fancy when it came to my nails. 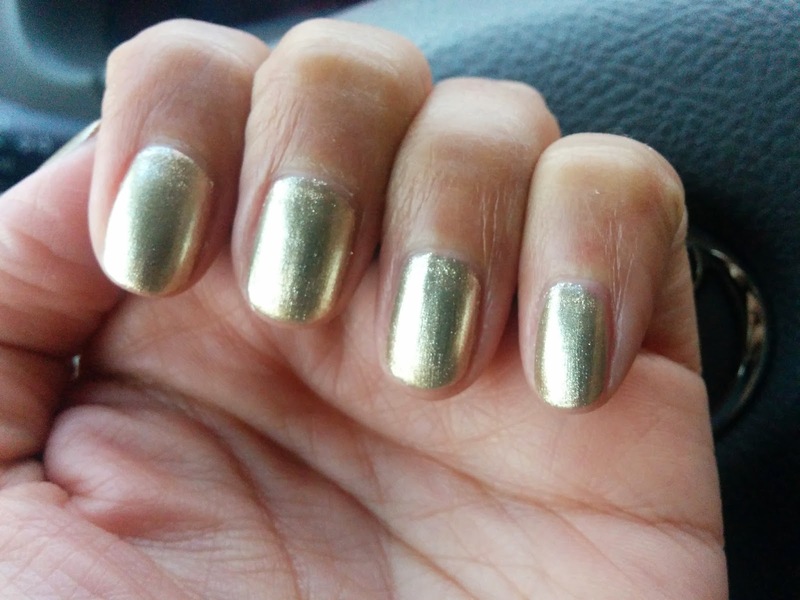 My girlfriends and I planned a nail and dinner date and I chose a gorgeous gold shade that would dress up my nails for an upcoming wedding. Check it out! So I get into the nail salon with my girlfriends and wasn't really paying attention as I was chatting it up. Then I started to notice the Salon Manager giving instructions to the nail tech on how to apply the color. So I guess he's never used this system before? I definitely knew he didn't when he applied a separate base coat. The CND Vinylux system comes with nail polish colors that have their own very base coat. I remember another technician saying you can't wear anything underneath or it will affec the wear of the polish. I decided to let the guy do his thing...the separate base coat didn't affect the application of the color but I wanted to give it the full week to see if they wear any differently. 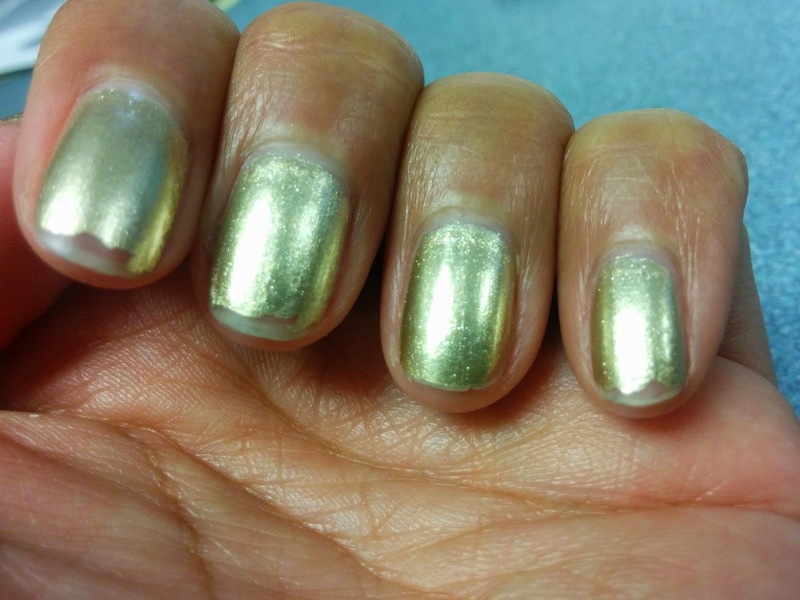 In terms of color, I decided to try something completely different - I went for this gorgeous soft metallic gold color. They look so chic on the nails. It almost reminds me of the Minx nail system but not as shiny. They also had a silver color. That could have been cool to do an accent nail for a mixed metals look and then you don't have to worry about clashing jewelry lol. So after just a few days my nails started to chip. I definitely think it's because the nail technician put on a separate base coat. I still rocked the color about a week since it wasn't horribly falling off, just really the tips. P.S. - I ordered my own CND Nail Polish and Top Coat so that I could do manicures at home and save me some $ and trips to the Salon. I know that Celebrity Talk Show Host Wendy Williams gets manicures but paints her nails on her own. I can see that happening...once they've primed and shaped the nail it's not too hard to put on color.